With the upcoming election, three Palo Alto Unified School District Board of Education seats will be up for grabs. Five candidates have been competing for the opening positions, two of whom are incumbents Heidi Emberling and Melissa Baten Caswell; the newcomers include Todd Collins, Jay Blas Jacob Cabrera and Jennifer DiBrienza. 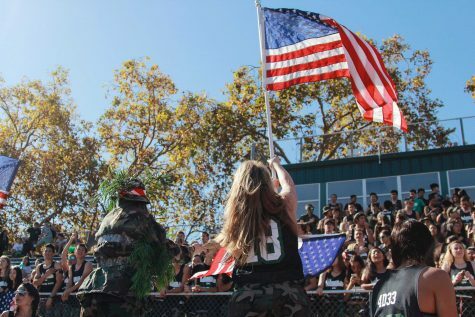 The Paly Voice staff and editors took time to research and evaluate the various candidates and their positions on topics ranging from the homework policy to budget deficit and the conduct of teachers on campus. Additionally, members of staff spent time attending forums with all five candidates present and interviewing the incumbents on current issues. After much deliberation as a staff, The Paly Voice has decided to endorse Todd Collins, incumbent Melissa Baten Caswell and Jennifer DiBrienza. Collins, a private investor, has spent time engaged with the board, but brings a new perspective that current conditions warrant. Over the years he has spent time involved in various school board committees such as the Citizens’ Oversight Committee of a school bond program and the school board’s Enrollment Management Advisory Committee over the 2015-16 school year. Collins earns our support because of his continued vocal concerns regarding the several million dollar budget deficit. While other candidates have acknowledged the issue, he has been the only one to recognize that innovation is contingent upon the availability of funds. Collins supports new pathways and programs, but doesn’t consider them to be feasible given current financial conditions. 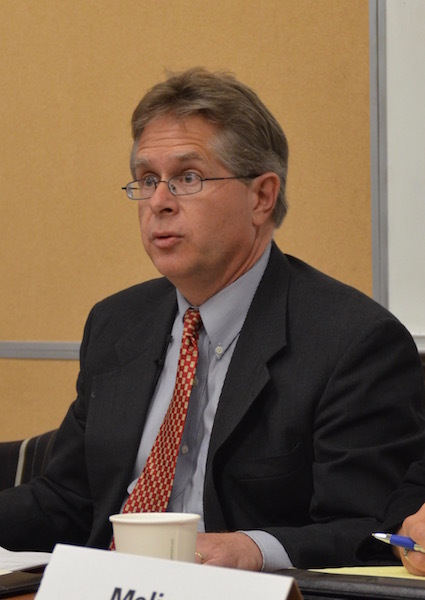 Collins not only has the financial background, but is an asset because of his attention to detail and exposure to the board’s past finances via various committees. Additionally, in keeping with his recommendations following his time on EMAC, Collins concurs with The Paly Voice staff in standing against the creation of new schools within the district due to declining enrollment in elementary schools the past few years. Collins persistently emphasizes the need for data-driven decision making, whether it be concerning the homework policy or the continuation of the current teacher evaluation system. 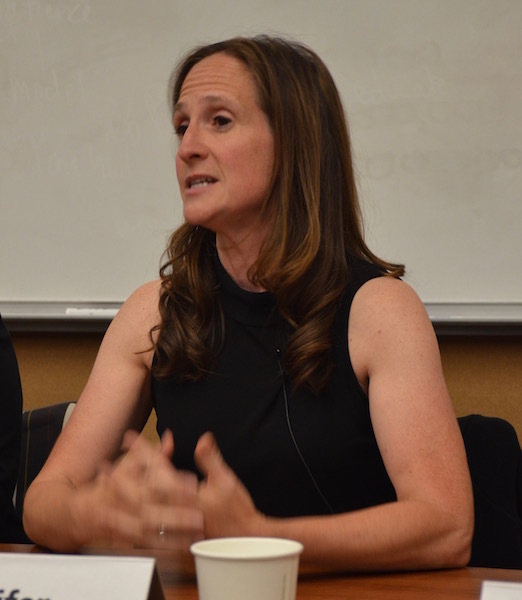 Caswell will be completing her second term, and while outside of the norm, electing her to a third this coming November will benefit the Palo Alto community because of her extensive knowledge regarding administrative procedures. She has previously served as board president and has experience serving on various school specific Parent Teacher Association councils. Caswell is one of few current members to strongly support student voice, recognizing that the zero period controversy at Gunn High School was a top-down decision. Caswell’s focus on garnering the creativity within our teachers and providing ample resources and time to allow them to innovate within the classroom resonates with The Paly Voice. As students we benefit from inventive programs, many of which have been implemented during her time on the board. Flipped classrooms, blended learning and programs such as Social Justice and Advanced Authentic Research allow for individualized learning experiences, enhancing our development as 21st century learners. Caswell displays some of the best features of the current board. She not only recognizes its shortcomings, but actively works to provide efficient solutions. During school board forums she has addressed that the mission of the district is to educate its students and that the “quality of the teachers preempts everything.” A pragmatic decision maker, Caswell advocates for an improved system of mental health services while acknowledging the district’s limitations. Incumbents, including Caswell, have been criticized for their lack of transparency and mismanagement in regards to finances and dealing with the Office of Civil Rights over the past few years. 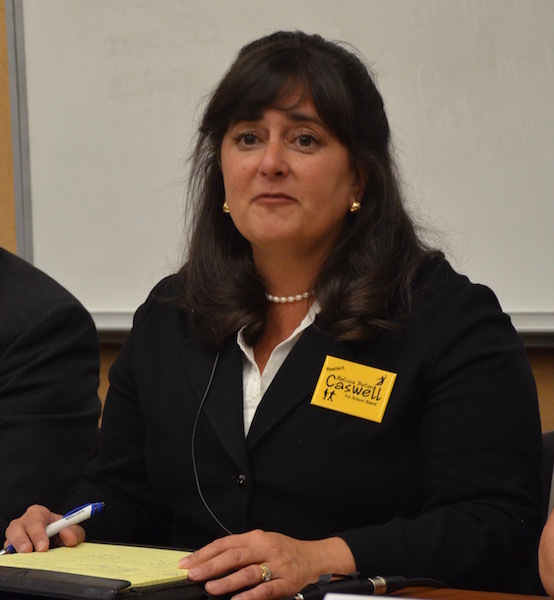 However, Caswell has remained consistent in her stances and takes the time to deliberate before outlining her position. Although she voiced her support for the teacher pay raise, Caswell is in favor of aggressive measures to reduce the deficit. DiBrienza, a teacher and staff developer for primary schools, embodies the necessary background for a seat on the school board. Previously, DiBrienza was an educational consultant and has served on Ohlone Elementary School’s site council. While the achievement gap and inequity in education have recently become synonymous with PAUSD, DiBrienza was one of few to continuously reference the importance of equitable access to the choices available at our schools. DiBrienza’s experience within the classroom will provide an integral perspective that the school board has been lacking. Hopefully, she will help the board as a whole to recognize how each decision truly impacts the experience of a student. Cabrera and Emberling have put up valiant efforts and their desire to aid the district’s students should be recognized. Cabrera offers the grass-roots perspective and should be applauded for his campaign based entirely upon small donations. He offers bold ideas that would add value to innovations within any district. Similarly, Emberling’s efforts over the past years have not been forgotten. Her emphasis on the best practices for each individual school is worth noting. Cabrera, despite his ingenuity, has drawbacks; he has focused his efforts on emphasizing respectable beliefs against the current system of politics reliant upon money. He strays away from providing adequate solutions to the specific problems faced by our community. Emberling, despite her time on the board, does not have a consistent stance on issues that we feel are pertinent. She has contributed to the ambiguous statements that prevent the current board from efficiently making decisions. While many of us as minors cannot express our support via an actual vote, our hope is to garner support for those who we believe will serve our best interests as students and community members. Their actions and decisions will outlive our legacies as Palo Alto High School students, but the election of Collins, Caswell and DiBrienza will ensure the best experience for future PAUSD students.